I am currently nonresident senior associate in the Carnegie Endowment's Energy and Climate Program. For my recent analyses, events, and appearances, see my Carnegie website here. I am the author of two books: Two Billion Cars (with Dan Sperling) and Steering a New Course. From clean car incentive programs to fuel efficiency standards and alternative fuels, my work with nonprofit organizations, foundations, governmental agencies, and the private sector encompasses policy analysis, strategic planning, technology transfer, technical assistance, and feasibility studies. 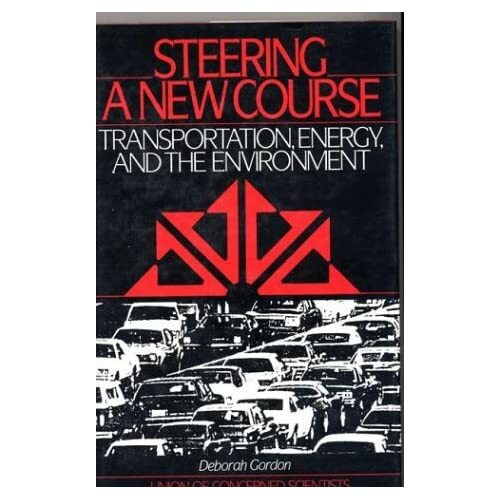 Steering a New Course offers a comprehensive overview about how transportation, energy, and the environment are inextricably linked in America.